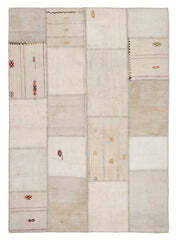 Anatolian kilims are flatwoven Used Oriental Rug and other than knotted carpets, they do not have a pile. 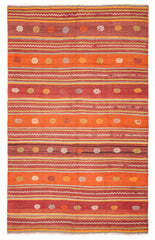 This Turkish Flatwoven rug was handmade probably around 35 years ago in the area around Manisa. It shows a beautiful pattern of stripes and traditional ornaments in war colors.